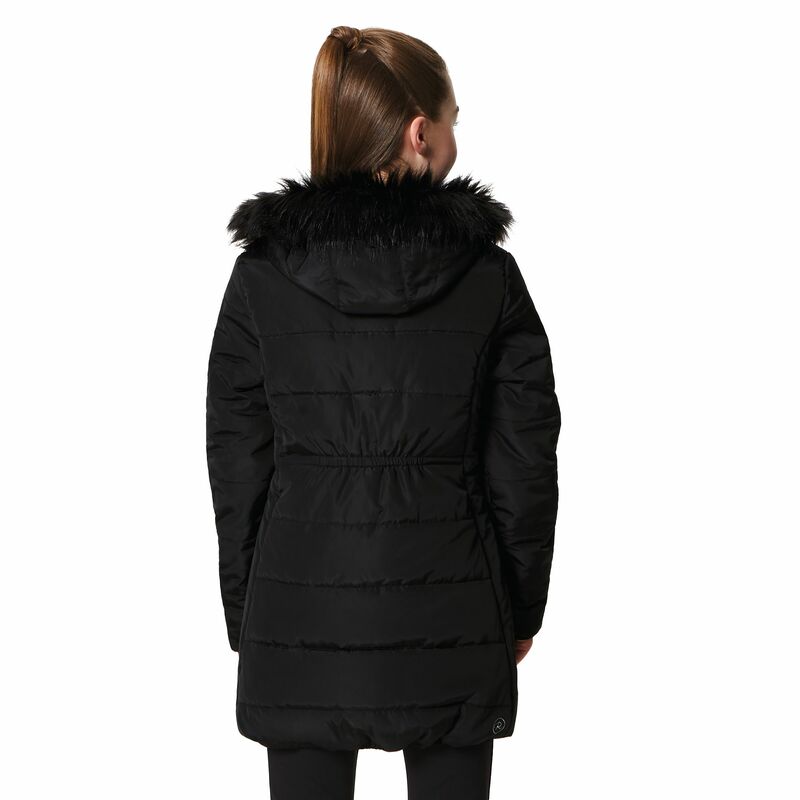 Cut longline and padded for cosy warmth, our kids' Cherryhill Coat has oodles of style and weather-busting performance. 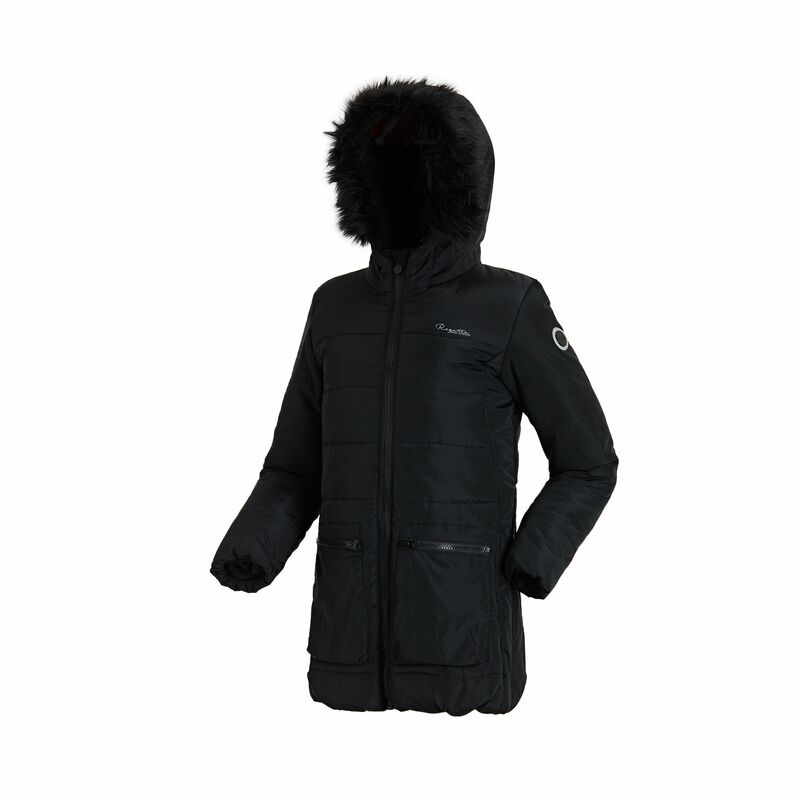 The outer uses high-shine, showerproof fabric while the inside is quilted with low-bulk Thermoguard insulation and cosy fleece. 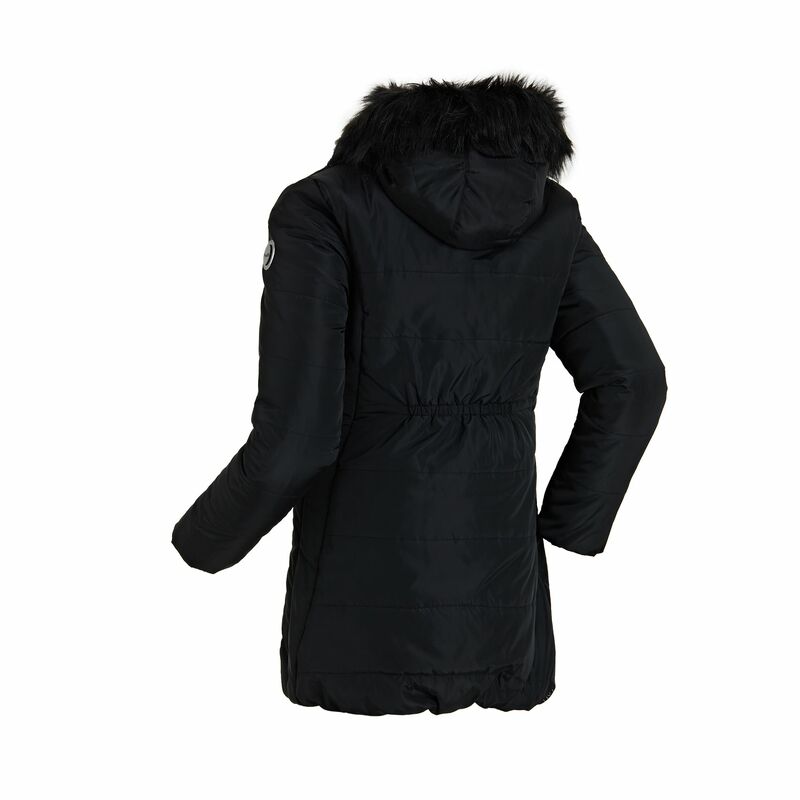 We've added a gorgeous faux-fur trim around the hood. Curved seams and the two size quilt pattern add tonnes of girly flair. With zipped lower pockets to stowing secret stuff and the Regatta Outdoors badge on the left sleeve.